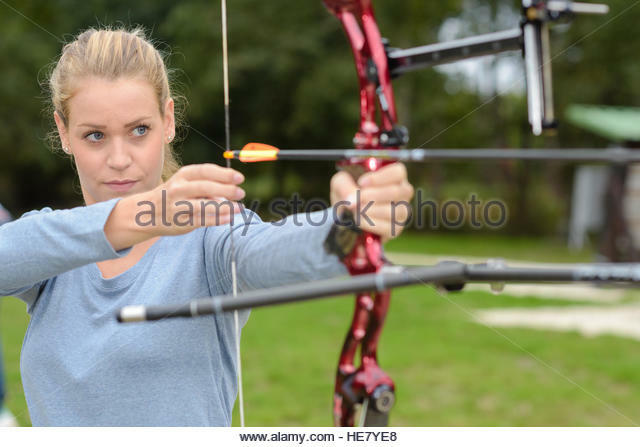 Many of you recently saw on my Facebook page this horror-show stock photo of an archer doing at least six things wrong, wrong, wrong. He even lends his friend the same bow. Urgh. It’s clear from the sheer number of stock images of archers that it’s a popular enough trope amongst stock photo archives, of which Getty Images is probably the biggest worldwide. This guy, handed a bow at least strung the right way round, just looks awkward, like he’s never picked up a bow before. A long way from the chisel-jawed thrusting target-smasher they’re presumably wanting the image to sell to you. See also this. This futuristic lady, who is apparently a ‘Pacific Islander’ is so far into the future, she’s managed to string the bow backwards. Whooo. Absolutely no idea what this guy is up to. Maybe he’s trying to work his biceps or something. If you can understand what’s going on here, please send me a postcard. Plenty more of this stuff out there with a bit of searching. There’s even video of this kind of thing too. If you can bear it. You want more? I suggest you follow the Back To Front Archery Club on Facebook.